Doriano Romboni tragically passed away after suffering from an accident at the Sic Supermoto day in tribute to former MotoGP rider Marco Simoncelli. The 44 year old Romboni was a former GP champion and suffered fatal injuries as he was struck by another rider at the Latina circuit in Italy. 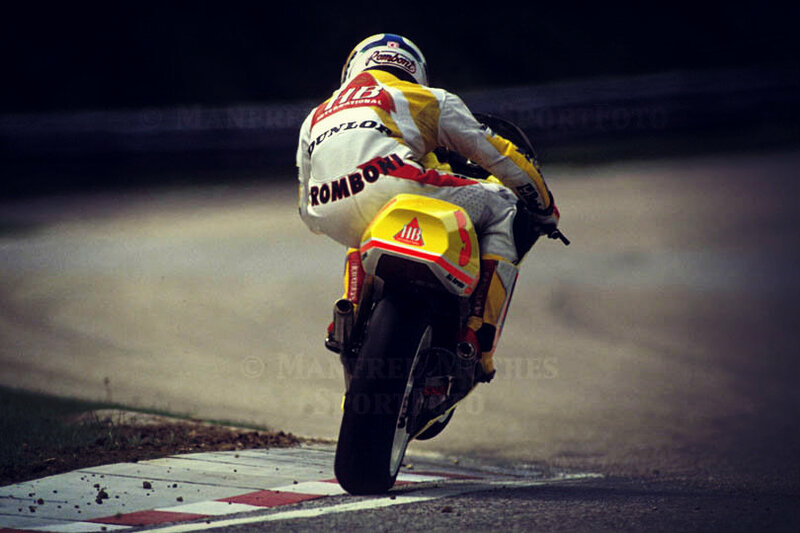 Romboni was a six-time Grand Prix champion in the 125 and 250 classes, from 1990 to 1995. He also raced as a World Superbike road racer. For the past three years, the father of three had been acting as the director of the Puccetti Racing Kawasaki team. The racing event was halted Saturday after Romboni died, but Marco Simoncelli’s father, Paulo, reported on Max Biaggi’s Twitter feed that the event will now resume tomorrow to help support Romboni’s family. RIP Romboni, we send condolences to your family and friends.